Employing new crop breeding approaches and making use of current genomic knowledge is a way to achieve increased nutritional quality of plant product, according to a recent report published by the European Academies Science Advisory Council. 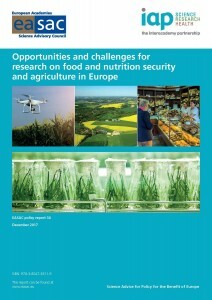 The report presents insights on which areas EU food research should focus on to fill current knowledge gaps. Based on the results, moving towards a food and nutrition policy that takes account of the varying national interests and contributes to benefiting the rest of the world, should be of top priority. 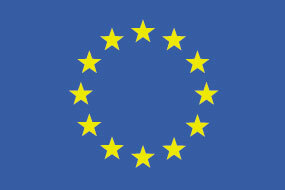 This needs to be achieved by addressing various complex food security and nutrition related issues that Europe faces. The over-abundance of calorie dense food and less access to nutrient dense food is one such issue. Cross-disciplinary research encompassing social as well as the natural sciences is the need of the hour, suggests the report. PROTEIN2FOOD, a project funded by Horizon2020, is working towards developing high-quality food protein from multi-purpose seed crops and grain legumes, through sustainable production and processing methods. The project seeks to enhance the protein production by 25% through new effective breeding techniques and optimised crop management. This will not only make protein-rich plant-based foods more accessible to consumers but will also have a clear impact on reducing the carbon footprint.